Alright everyone. I finally did it. I signed up for Camp NaNoWriMo with the intention of actually going through with it. What does that mean, exactly? Well, it means I’ve signed up for Camp NaNoWriMo once before and did absolutely nothing. I did the same thing this November with regular NaNoWriMo. I just wasn’t feeling it then. Now, however, I will participate. I already have 7,000 words in my story so far, so I’m hoping it won’t be too difficult to keep going. I’m only making myself hit 15,000 words in April for a totally of 23,000 words by the end of the month. There’s no way I could do 50,000. I’m really glad the Camp version allows its participants to choose their own word-count goal. Otherwise, I think it would be a bust for me. My roommate on the other hand, she’s going for the full 50,000. But then again, she doesn’t go to the gym like I do or blog post as much. I’m hoping that we can keep each other on track for the month, though. I only have to get 500 words per day. That daily goal would be even lower if I was able to use the full month. Unfortunately for Camp purposes, I’m flying back to Missouri on April 28. That means four days without writing, because I’ll be packing on April 27 and with family the other three days. But it should work out. I can hit 1,000+ words on the weekends, so if I must, I’ll hit it strong then, and let the weekdays suffer a bit. As for my story itself, it’s a new adult fantasy set in a non-magical fantasy world. It has cute boys; an angsty, slow-burn romance; and a ton of betrayal. The blog post will cover my writing progress from Saturday to Saturday, so I haven’t started Camp as I’m writing up this post. Tomorrow, April 1, will be the big day. I’m trying to knock out all of this week’s blogging today, just so I don’t have to worry about it until next Saturday. 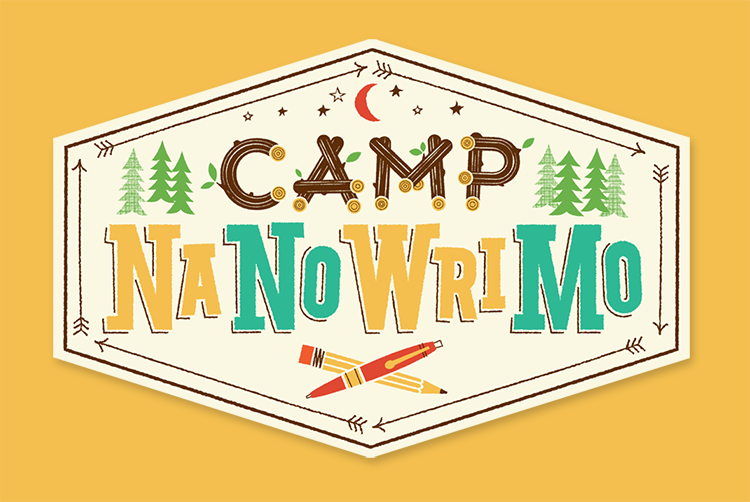 And while I really don’t want the blog to suffer, I might try to prioritize Camp NaNoWriMo over posting. Eek. Well, that’s all I have for this post. 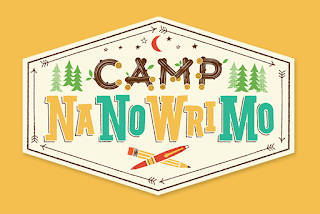 Anyone else participating in Camp NaNoWriMo this year? Have you participated before? Do you have any advice? Let me know in the comments!